Powering this turn key bad to the bone bowtie is a 355 cubic inch Chevrolet V8. Pumping out approximately 450 horsepower, this Chevrolet S10 for sale is no joke! 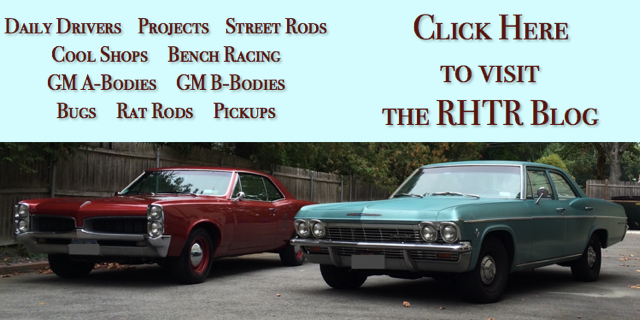 With only 15 miles since a frame off restoration performed by Smileyâ€™s performance shop. Hearing the rumble alone, pounding through the fender exit headers and custom dual exhaust, lets you know that this truck means business. Backed by a 700R4 4-speed automatic transmission and a 4.10 geared 10-bolt posi-traction rear end, this S10â€™s bite is just as mean as its bark. With Foose 5-spoke wheels at all corners that are wrapped by 245/45R17 BFGoodrich G-force radial tires, this S10 is more than willing to put the power to the pavement. The exterior is crisp, clean, and a tribute to one fine built muscle machine. The Burgundy exterior is sharp, complete with a custom rear roll pan as well as a cowl induction fiberglass hood. Sitting behind the wheel of this â€œsleeperâ€ of a pickup you will notice a complete set of Pro Comp gauges looking back at you. The rest of the interior has been left mainly stock with the exception of the aftermarket ratchet shifter that sits proudly on the floor. Whether youre on the hunt for a cruiser or a bruiser, this 1991 Chevy truck for sale is eager to please. You can view this 1991 Chevrolet S10 in greater detail including HD pictures and an HD video of it running and driving at Gatewayclassiccars.com. If you are interested in purchasing this vehicle or have more questions regarding it please call us at (303) 872-4722 or email us at Denver@gatewayclassiccars.com. Gateway Classic Cars is excited to offer this sharp 1930 Ford Model A Truck. This piece of Ford history is show ready and fires right up with ease. This ¼ ton Pick-up for sale has had a tremendous amount of time and work put into making this as close to original as they come. With the Owner stated original 4-cylinder engine that has been rebuilt runs like a dream. It’s a blast driving the 3-speed manual transmission and shifting through the gears. This all steel Ford went through a full restoration. Painted in a sporty looking Green and black fender’s this Ford has the look it deserves. The wood panels in both the bed and side rails along with the black wire wheels make this truck stand out and will have everyone at your local car show starring for days. Once you step inside the cab of this 1930 Ford Model A pick-up you will sit comfortably on the black leather seats which once again are highlighted by both black trim throughout. Again, lots of detail went into the interior with a factory steering wheel and complete dash down to the steering wheel. When you sit in the cab of this 1930 Ford you feel like you are travelling back to the late 1930’s and buying it for the first time! Prices for the Model A ranged from US$385 for a roadster to US$1400 for the top-of-the-line Town Car. The engine was a water-cooled L-head inline four with a displacement of 201 cu in (3.3 l). This engine provided 40 hp (30 kW; 41 PS). Top speed was around 65 mph (105 km/h). The Model A had a 103.5 in (2,630 mm) wheelbase with a final drive ratio of 3.77:1. The transmission was a conventional unsynchronized three-speed sliding gear manual with a single speed reverse. The Model A had four-wheel mechanical drum brakes The 1930 and 1931 models were available with stainless steel radiator cowling and headlamp housings. The Model A was the first Ford to use the standard set of driver controls with conventional clutch and brake pedals, throttle, and gearshift. Previous Fords used controls that had become uncommon to drivers of other makes. The Model As fuel tank was situated in the cowl, between the engine compartments fire wall and the dash panel. It had a visual fuel gauge, and the fuel flowed to the carburetor by gravity. A rear-view mirror was optional. In cooler climates, owners could purchase an aftermarketcast iron unit to place over the exhaust manifold to provide heat to the cab. A small door provided adjustment of the amount of hot air entering the cab. The Model A was the first car to have safety glass in the windshield This 1930 Model A Truck is for sale in our Tampa Showroom and can be viewed in greater detail including 100+ HD pictures and an HD video at www.GatewayClassicCars.com. For additional information, please call our knowledgeable staff at (813)645-6200 or email us at Tampa@GatewayClassicCars.com. If you would like to see it in person, come to our Tampa Showroom, located at 351 30th Street NE, Ruskin, FL 33570. Hours: Monday through Saturday, 9 AM to 5 PM EST. Gateway Classic Cars of Scottsdale is thrilled to offer this dune destroyer 2018 SP-CON Sand Rail for sale right now in our Arizona showroom. This well-built, beast of a machine should provide years of fun weekend memories for whoever buys it. Powering this desert conqueror is a fuel-injected Chevrolet 350 CID V8 making it not only a blast to drive but also something that is easy to maintain with cheap and readily available parts. Our Sand Rail for sale today comes in a striking purple and yellow powder coated paint job, which is sure to get heads turning as you drive it off the trailer ready for some dune action. Our Sand Rail is a blast to drive and this cool toy will get your neighbors jealous when your whole family comes home smiling after an adventure. This 2018 SP-CON Sand Rail comes with Seat Belts, a Vinyl Interior, Racing Aluminum/Alloy Wheels and a Kill Switch to ensure your battery life is not drained while its sitting in the garage during the work week. This memory-maker wonâ€™t last for long at this price, so be sure to give our knowledgeable and helpful Sales team a call at Gateway Classic Cars of Scottsdale at (602) 900-4884 or shoot us an email at scottdale@gatewayclassiccars.com. We canâ€™t wait for you to get behind the wheel of this one! Gateway Classic Cars of Dallas is pleased to offer this low mileage 1988 Pontiac Trans Am GTA for sale in our Dallas-Fort Worth showroom. GTA - Good Times Ahead. Pontiac Firebirds were proving less popular than Camaros but they held a loyal following of buyers from different age groups who relished its flashy styling and muscular performance. In 1987 there were Base and Trans Am editions, plus a Formula package and the sizzling GTA. Both Formula and Trans Am came standard with a 170-horsepower V-8 but could be ordered with a higher-output edition that featured multipoint fuel injection. The GTA package came standard with the tune port injected 5.0-liter 305 V-8 boosted to 215 horsepower. GTA equipment included a remote decklid release, power antenna, power windows/locks, theft-deterrent system, cruise control, and tilt wheel. Carburetors were gone -- never to return -- on all engines. This beautiful example is shown in black with a gray leather interior, 4-speed automatic transmission, factory T-tops, and only 51,116 original miles. This GTA is very straight and very original. As you can see by the pictures the paint is in excellent condition. Factory equipment includes air conditioning, AM/FM/CD, T-Tops, cruise control, power lumbar supported seats, power windows, door locks, steering and brakes, ABS, tilt wheel, leather interior, and special alloy wheels. 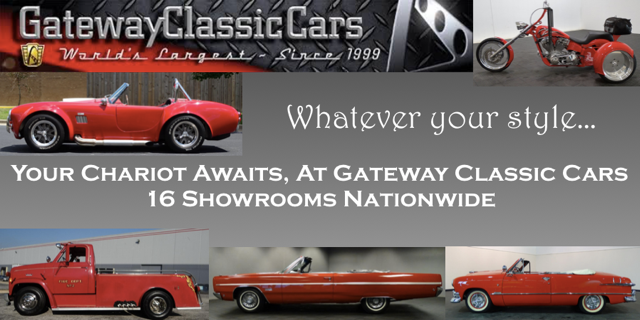 Be sure to visit our webpage at www.gatewayclassiccars.com to view 100+ HD pictures, as well as a video of the car in action. Better yet, stop by our Dallas-Fort Worth showroom and see her in person. We are located at 1250 Mustang Drive, Suite 500, DFW Airport, TX 76051. Call us directly at 817-310-9400 and weâ€™ll be happy to share additional information or schedule an appointment for you to experience this amazing car. Up for sale in our Tampa showroom is this beautiful 1988 Mercedes-Benz 560SL. Standing as one of the most quintessential personal luxury cars of the 1980s, the Mercedes-Benz 560SL paired classic styling with modern performance. This car has been well cared for over the years, and it shows with a clean vehicle history report and beautiful paint work, body and interior. Making this 560SL look even better is the eye-catching red paint job with stylish chrome wheels. In addition to the removable hard top, this 1988 Mercedes-Benz 560SL also has a brand new soft top colored to match the black interior. Driving around with the top down is fun enough, but the 5.6-liter V8 adds some extra driving enjoyment with its 227-hp output. Whether youre looking for a weekend show car or a high-caliber daily driver, this 1988 Mercedes-Benz 560SL is a great choice. Options on this 1988 Mercedes-Benz 560SL include air conditioning, AM/FM radio, CD player, manual convertible top, seat belts, power door locks, power steering, power windows, power brakes, leather interior, driver airbag, aluminum alloy wheels and radial tires. To see 100+ HD pictures and videos of this well-preserved 1988 Mercedes-Benz 560SL, please visit GatewayClassicCars.com. 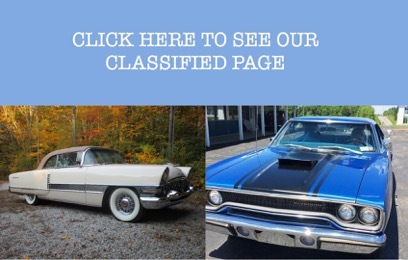 For more information or to schedule an appointment to view car in person, please call the Tampa showroom at (813)645-6200 or email us directly at Tampa@GatewayClassicCars.com. For sale in out Nashville, TN showroom is this beautiful 1976 Volkswagen Beetle Convertible! This 1976 VW Beetle convertible for sale is a great runner and ready to take down to the local beach, car show, or cruise-in! Powering this little 76 VW is powered by a 1600 cc, air-cooled 4-cylinder engine. This car has had a complete rebuild (With receipts to prove it) and has barely been broken-in. Backing the peppy 4-cylinder, is a smooth shifting 4-speed manual transmission. Running through the gears, this VW Beetle is a blast to drive, to say the least. The exterior is a lovely shade of red, complimented by the factory style wheels, chrome bumpers, and black convertible top. Built to drive, this is a car youre going to love cruising around town in. The interior is your classic Volkswagen interior, simple and functional. With black vinyl buckets up front and a bench out back, theres plenty of room for you and your friends. Options on this 1976 Volkswagen Beetle convertible for sale, include: AM/FM radio, manual convertible top, seat belts, vinyl interior, and steel wheels with hub caps wrapped in radial tires. 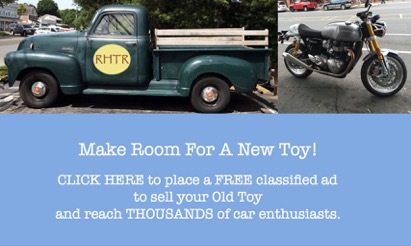 Nows your chance to own an easy driving classic, thats ready for essentially anything you throw at it! This 1976 VW Beetle for sale in our Nashville showroom can be seen in greater detail including 100+ HD pictures and an HD video at www.gatewayclassiccars.com for more information please call the showroom at 615-213-1800 or email us at nashville@gatewayclassiccars.com if you would like to see this car in person we welcome you to stop in our Nashville showroom at 320 Tech park Dr. Suite 600 La Vergne Tn 37086. For sale in our Detroit showroom is this stunning 1971 Chevy C30 Tow Truck! These second-generation trucks were the beginning of a very important milestone in Chevrolet vehicle production, as trucks were beginning to be offered with improved interior options and drive-train packages, to add a new level of comfort and convenience to trucks that were previously only used as work vehicles for commercial purposes. 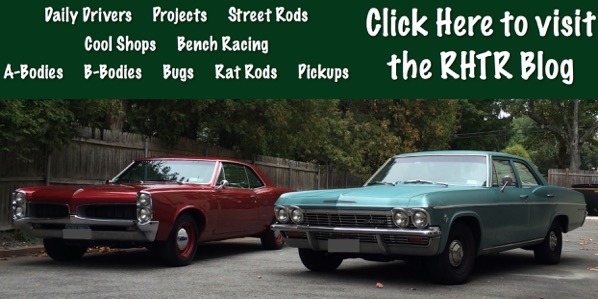 This particular truck has been meticulously restored to like-new condition, and taken a few steps further with some wild additions to make it a blast to cruise around in and present at shows! The quality of the build begins with the incredible Twilight Metallic Blue paint that really shines out in the sunlight and looks stunning with the addition of the light flames. While not immediately noticeable from a quick glance, the frame has been sandblasted and painted, so this truck looks as good underneath as it does on the outside. The beautiful look continues once you open the doors, where you’ll find a custom split bench seat, spotless dash with factory gauges, and an updated AM/FM stereo. When you lift the hood, you’ll find a 350 cubic-inch, high-output GM engine which has been rebuilt and runs as good as new, backed by a 4-speed manual transmission with a creeper gear. All that power is routed through dual exhaust with chrome plated stacks coming through the bed behind the cab cranking out a sound better than any stereo system could ever produce! Out back, you’ll find what is arguably the coolest part of the truck, which comes in the form of a fully functional Holmes 480 split boom wrecker assembly making this truck not only a showpiece, but fully functional as well. Options on this truck include: AM/FM radio, power brakes, power steering, seat belts, cloth interior, and radial tires on custom wheels. Wherever you look, it is evident that no expense was spared with this restoration. To check out this show-quality truck, visit our Detroit showroom, or find us on the web at www.GatewayClassicCars.com to view HD pictures and video. For more information, call our showroom at (313)-982-3100. Gateway Classic Cars of Las Vegas is proud to present this rugged classic 1970 Ford F-250. This truck wears its original shade of teal over its all-original bodywork. Putting power to the rear wheels is a rebuilt 390-cubic-inch V8 providing that classic Ford sound, connected to a smooth 3-speed automatic transmission. This truck even features a gun rack! This three-owner F-250 has a vinyl interior and radial tires over alloy wheels. Recent work completed on it includes new front brake hoses, new radiator, new thermostat and gasket, and a new carburetor. The 1970 F-250 was based on the 1965 redesign. A completely new platform, including the Twin I-Beam front suspension, was introduced that would be used until 1996 on the F-150 and until 2016 on the F-250/350 4x2. The Ford F-series is arguably the most legendary name in trucks, and you will be driving a true icon behind the wheel of this beauty. This 1970 Ford F-250 is for sale in our Las Vegas showroom and can be seen in greater detail including 100+ HD pictures and HD video at https://www.gatewayclassiccars.com/LVS/108/1970-Ford-F250. For additional information please call our knowledgeable staff at (702) 830-9215 or email us at lasvegas@gatewayclassiccars.com. If you would like to see it in person, come to our Las Vegas Showroom, located at 6580 S Lindell Road Suite 300, Las Vegas, NV 89118. Up for sale in our Tampa showroom is this LOW MILES 1989 Ford Mustang GT Convertible. With just over 23,000 actual miles on this car – that’s an average of under 900 miles per year since new! This beautiful GT Convertible has been meticulously maintained and well cared for. The original motor and automatic transmission both run and drive fantastic! The two-tone Black and Grey exterior paint is in terrific condition with minimal signs of wear and tear, and still shines great in the sun! The fabric/glass convertible top and cloth interior are both in excellent condition. The interior shows barely any signs of wear and tear with the seats still holding their original form. Under the hood of this GT sits a 5.0L 302 CID motor with published performance stats of about 220 HP and 0-60 times around 7.0 seconds. These cars have been steadily increasing in value and becoming more and more collectable. Finding one with this low of miles and this well maintained is become almost impossible to track down these days – making this car a unique gem! Purchase and enjoy this fantastic Mustang GT today! To see 100+ HD pictures and videos of this 1989 Ford Mustang GT Convertible, please visit GatewayClassicCars.com. For more information or to schedule an appointment to view this vehicle in person, please call the Tampa showroom at (813)645-6200 or email us directly at Tampa@GatewayClassicCars.com.